On behalf of Admin of JML Law, A Professional Law Corporation posted in Car Accident on Wednesday, Sep 26 2018. If you have recently been in a car accident, the question “How long will the crash stay on my auto insurance record?” has probably crossed your mind once or twice. Generally, the sooner you can get rid of that car accident from your insurance record, the better because insurance companies require you to pay an extra charge added to your premiums. A surcharge raises your premiums due to something within your control. Typically, the higher rate goes away once the surcharge drops off. In other words, it is a penalty in the form of an increase in auto insurance premiums after a car accident or traffic citation. How long do car accidents show up on your record in California? Our Los Angeles car accident attorney at JML Law says that insurance companies in California usually look back three to five years. Therefore, if an insurer is trying to make you pay an extra charge added to your premiums for something that occurred six or more years ago, you may be dealing with a dishonest and fraudulent insurance company. In California, every car accident that is reported to the state’s Department of Motor Vehicles (DMV) by police will show up on your driving record for a prolonged period of time. However, if the reporting police clearly indicated that the other party was at fault, the accident may not show up on your driving record. In other words, insurance companies generally cannot require you to pay a surcharge if (a) the car accident occurred six or more years ago, and (b) you were not at fault for causing the accident and the crash does not even show up on your driving record. “But that is where it gets complicated,” says our experienced car accident attorney in Los Angeles, because under California law, car accidents must be reported to the DMV if either you or other parties in the crash suffered over $750 in damages. The same goes for car accidents in which anyone has been injured or killed in the collision. These types of car accidents are recorded on an SR-1 accident report, which the DMV keeps on file. Generally, auto insurance companies in California are able to check your driving record to see the information regarding prior car accidents. In California, the DMV assigns at-fault accidents one point. If you are at fault for an accident in Los Angeles or elsewhere in California, the one-point crash will stay on your record for three years. How and why do insurance companies check my driving record? 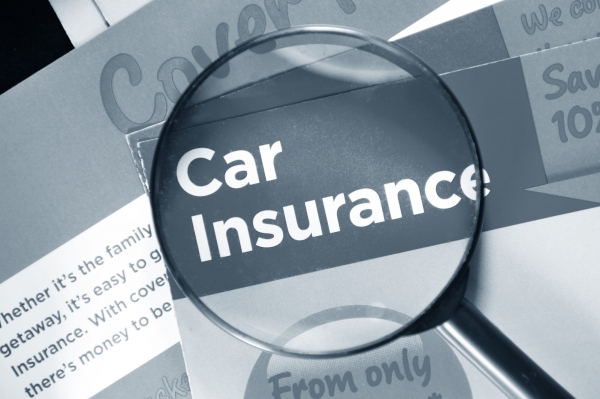 Typically, insurance companies look into your driving record when you apply for an insurance policy, renew a policy, or wish to make changes to your current policy. If the insurer sees car accidents on your driving record at the time of checking your record, and the accident occurred less than five years ago, the insurance company can increase your premium rates. “Also, do keep in mind that insurance companies in California have a habit of keeping a database of car accident-related claims,” warns our Los Angeles car accident attorney at JML Law. That means that even if you chose not to report a car accident you were at fault for to the police, but the other party filed a claim against you, your insurance company and future insurance companies will most likely be able to access that information and rate you based on it. Do you think that you are paying an unreasonably high price for your auto insurance? Consult with our attorney at JML Law to determine whether your insurer’s tactics are unlawful or unfair. Get a free consultation by calling at 818-610-8800.